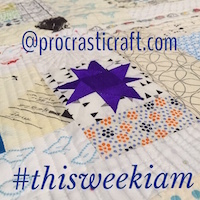 So that late night stitching I was doing to meet a Monday deadline? I made it in time!!! It’s getting towards the end of the school year for us with the biggest two finishing up on December 12 for eight weeks of summer holidays! I’m really looking forward to them being around during the day and to not having to rush out each morning to get to school on time. Today is their class celebration (they’re close enough in age to be In the same class!) and all the parents contribute a gift to a big class hamper for the two gorgeous teachers we are lucky enough to have. I always want the teacher gifts to be something useful and nice that says just how much we appreciate the job they do. Quite honestly, I think they are saints. This year, I’ve made market tote bags which fit the practical factor and hopefully they will know that these are made with love and care! 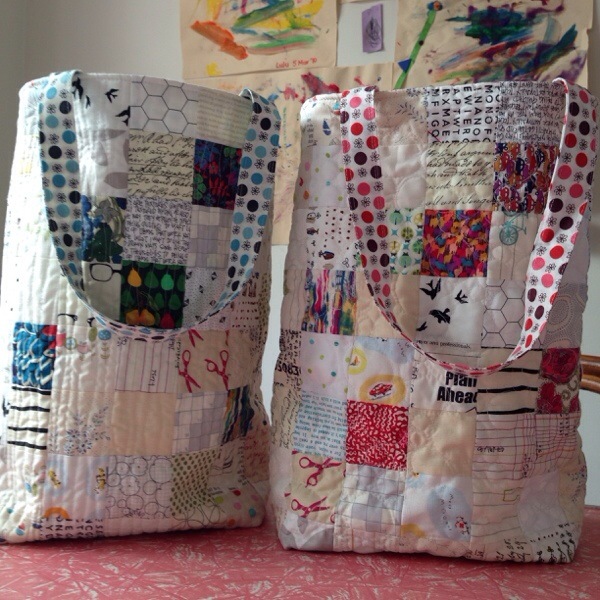 The bags are about 12″ wide x14″ high with a 4″ base. I cut 2.5″ squares from a variety of low value prints, mostly purchased from Westwood Acres and PolkaDotTea (both on etsy). 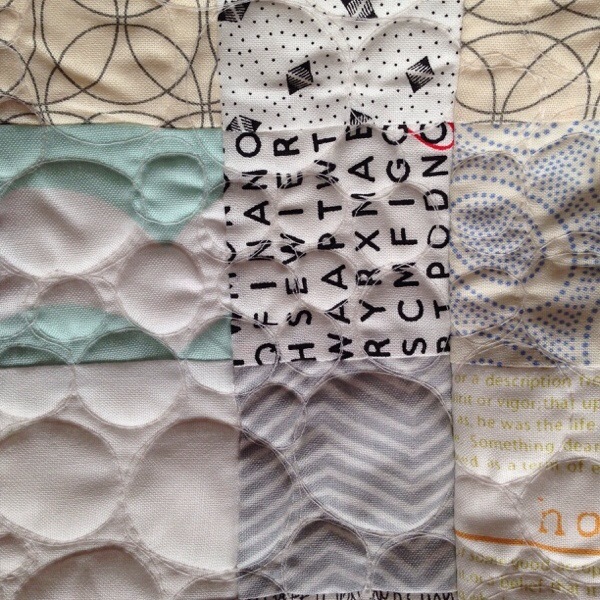 There are a few Liberty squares as one of the teachers shares my love of fabric and Liberty in particular. 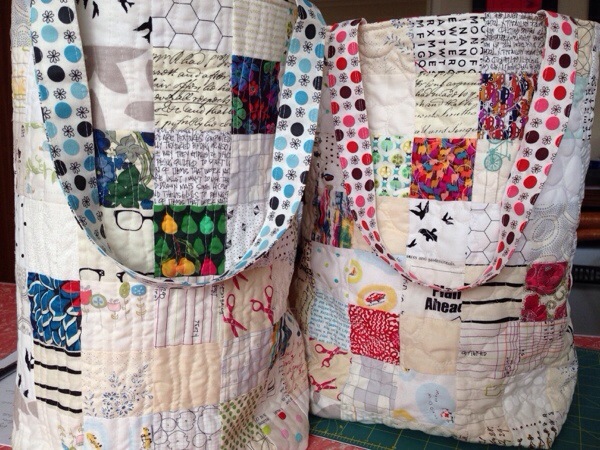 One is quilted with wonky lines, the other with various sized circles and they are both fully lined with Flea Market Fancy in Daisy Dot (the same as the handles). I didn’t use a pattern, I just kept sewing squares until the size looked about right and then constructed a simple lined bag with the quilted piece on the outer. I’m looking forward to handing these over and I hope they get a whole lot of use! 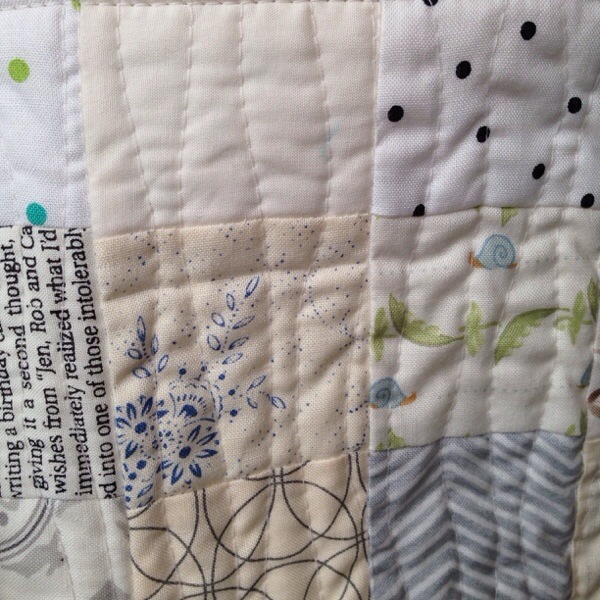 This entry was posted in quilt, quilted, quilting and tagged market bag, quilt, tote bag on November 25, 2013 by procrasticraft. Gorgeous. Love the low volume. Thanks Nicole. I’m hoping to borrow at least one of them to bring to guild so I actually have a finish to share tomorrow night! Yay! So good to see these all done!